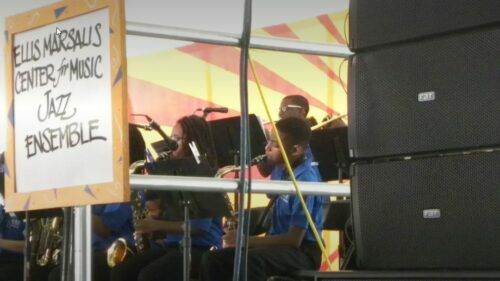 At the 49 New Orleans Jazz & Heritage Festival this year, an FBT sound system took center stage with Propaganda Group, a New Orleans-based AV company charged with designing and managing the sound at the Kids’ Stage. 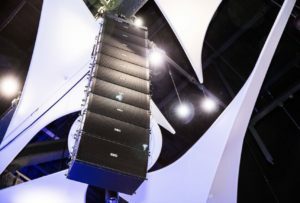 Chris Scott, the company’s front of house engineer at the event, raved about the rig throughout the seven-day outdoor event – along with the featured performers. The New Orleans Jazz & Heritage Festival has grown since its humble but significant beginnings in the 70’s. Today, the massive festival draws over 400,000 visitors for a two-week long celebration of music that spans over thirteen main stages and several smaller venues. Music includes every genre, from jazz, blues, Americana, blue grass, Cajun, zydeco, and roots rock, to African and Latin. There’s even a family-friendly “Kids’ Stage” that supports everything from puppet shows and storytellers to full bands and orchestras. 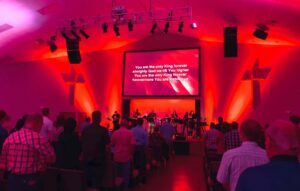 When Grace Bible Church in La Vernia Texas planned a complex renovation that took two years to complete, Jack Saenz, Installation Manager of BP Lighting, Sound and Video (BP), was brought in by Rock River Media to design a sound system that would fit within their budget but exceed their expectations. Saenz suggested a rig made up entirely of FBT equipment – and says everyone is thrilled with the results. Italian Speaker Imports (I.S.I. / FBT USA) announced its move to a new location in Bedford Hills, N.Y. this week. 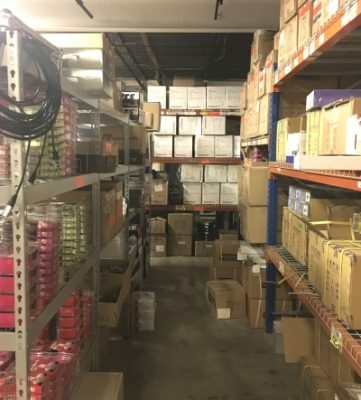 The larger facility brings all of its administrative offices and inventory together under one roof, solidifying an even stronger customer experience than the company had already developed a reputation for. I.S.I. is the exclusive distributor of FBT, JTS and Bespeco, and is a partner with APE Labs. John Krupa, President and owner of I.S.I., mentioned consolidation and productivity as the drivers behind the move into their new 3,000 square-foot space. Growth was cited as the catalyst behind it all. I.S.I. was established in 2014, and has been growing, annually. Office Manager, Amber Miller credits the company’s commitment to distributing quality, Italian-made products and Krupa’s unusual commitment to personalized customer service as the reason. Clients seem to agree. 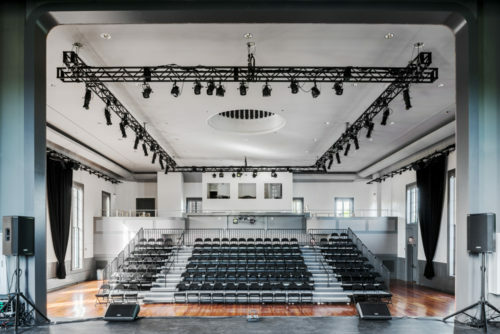 July 6, 2017 (Hudson, NY) – When Hudson Hall at the Hudson Opera House decided to renovate their historic building, they were faced with a challenge common to any historic space: retrofitting it with modern amenities and equipment while maintaining its authenticity. There was one challenge, however, that proved to be unique to the performance hall – its sound system. Thanks to FBT, those challenges have been met and expectations exceeded, resulting in quality sound that supports performances by professional artists of the highest caliber, in styles ranging from contemporary and cultural to classical. The opera house was built in 1855, abandoned in 1962 and, from 1996 until April, was operating at a fraction of its capacity –utilizing just a center hall art gallery and small performance space on the first floor. Fundraising efforts raised the $8.5 million necessary for renovations, including state historic preservation funds, which supported pulling up and reinforcing the original wood floor with steel before relaying it; supporting the truss, roof and foundation; and cleaning up thirty years’ worth of evidence that pigeons had taken up a tenancy in the rafters. Next steps included fully modernizing the electricity and plumbing, no small feat when considering that maintaining the integrity of the building and its overall structure was a requirement by historical preservation standards. 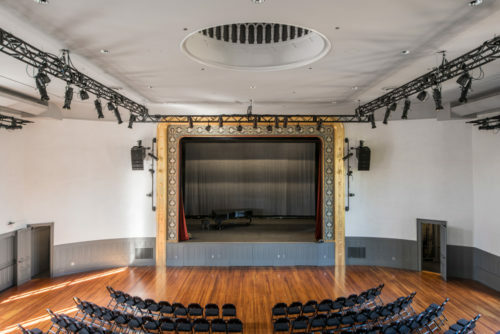 A significant portion of the renovation funds were, necessarily, dedicated to the building’s historic nature, so by the time the organization was ready to consider their sound equipment, they had to be mindful of the budget they had left. Still, they refused to settle for anything less than a state-of-the-art system. They also knew that they’d need that system to be flexible enough to support musical performances on the stage, dance performances in the round on the hall floor, and everything in between. The round shape of the room was also a major concern, since the sound there had always been muddy before. Simon Nathan, owner of Audio Production Services and a consultant at Italian Speaker Imports with a wealth of professional theater sound installation experience, stepped in to analyze the organization’s needs. He recommended FBT. Lighter than most, the boxes could be easily reconfigured on a performance-to-performance basis, and positioned to resolve the many issues raised by the room’s curved corners and ceiling. 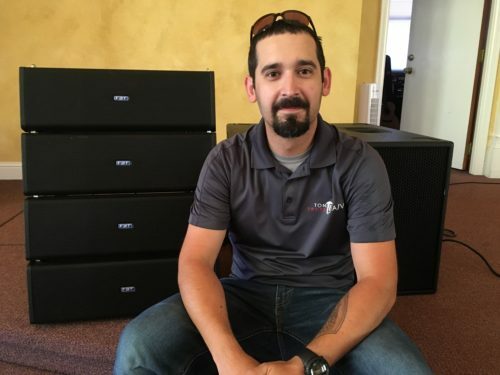 Boasting a price far lower than speakers in a higher price bracket, Nathan assured the staff at Hudson Opera House that not only would the speakers be an affordable solution, the sound quality would rival that of other brands. The decision proved to be ideal. Smaller and lighter doesn’t mean the speakers are any less powerful, though. Hudson Hall’s mission is to inspire and promote the arts, and to play a pivotal role in the cultural and economic advancement of the Hudson Valley region. Ongoing programs include concerts, readings, lectures, exhibitions, theater and dance presentations, after-school programs, workshops, classes, and large-scale community arts events. For more information about the organization, visit: http://hudsonhall.org. Isidore Newman School’s athletic program has a long history of excellence, but the facilities surrounding its storied football field needed a substantial upgrade. 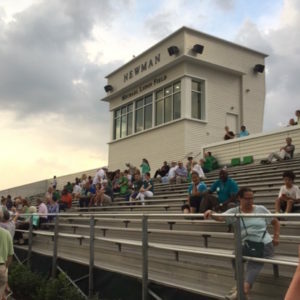 The school wanted to give a better viewing experience to spectators at Friday night football games, soccer, and lacrosse matches. That’s when Peyton Manning, along with his father and brother, Eli, decided to step in, spearheading fundraising efforts for a new practice field, sky deck, press box, and entrance plaza, all of which included a state-of-the-art FBT sound system. Now dubbed the Manning Family Athletic Complex, the total overhaul represents a $3 million project. The centerpiece of the new facilities is Reginelli Way, a fan plaza that honors the Manning’s now-retired high school coach, Tony Reginelli, and will support countless young athletes in New Orleans. The Mannings led the fundraising and were joined by numerous generous donors from the Newman community, whose assistance was greatly appreciated. In addition to aesthetic improvements, the practicality of a new sound system was evident. Leon Dwinga III, owner of Runaway Records Productions, LLC, has built a successful event production business on talent, technical skill and a reputation for professionalism when dealing with his many high-end and boutique clients. Recently, when he was asked to provide sound for one of those clients in Pittsburgh, Pennsylvania, he considered which equipment he’d bring to cover their popular men’s event to be held at the David L. Lawrence Convention Center. 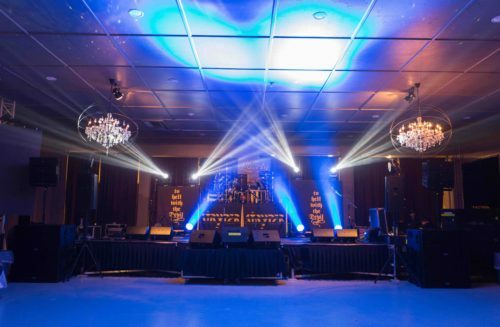 Armed with just a Muse 210 line array and additional FBT support speakers, he surprised even his own engineers by providing outstanding sound – supporting a full band and multiple presenters who addressed a crowd of 3,000 people in a 24,000 square-foot space. January 3, 2017 – Roswell, New Mexico – When a big-name act comes to town, they’re going to want a big sound – so when heavy metal band, Stryper was scheduled to play at The Liberty in Roswell, New Mexico, recently, John Pennell, owner of Total Productions, turned to FBT to supply a complete front-of-house rig. Thanks to a Mitus 206 line array and four Mitus 218A subs, the band was backed by a powerful system, and blew the audience away.